Those flats of mixed Sedums would come in handy for the overhaul of my gravel garden. Love all the great plants you picked! That Agave 'Red Margin' is gorgeous. Next time, we should compare our final flats--so we can run back and get the amazing things our fellow bloggers managed to snag. Your selection looks great. So much goodness! Is that 160,000 square feet? Wow. 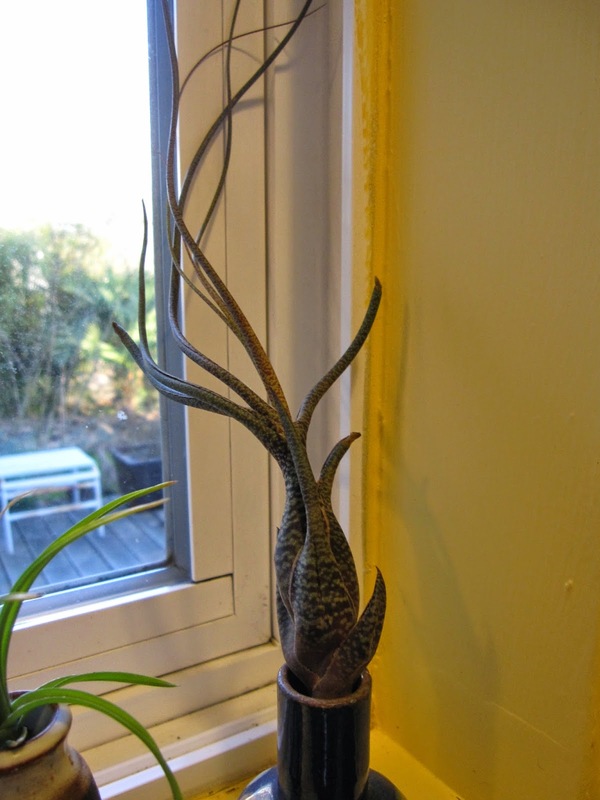 Absolutely love the Tillandsia butzii you brought home! What great fun! I was especially curious about their tillandsia propogation so it was interesting to see them on those shelves! You got a great haul! Thanks for sharing - loved the vicarious thrill! It was a great day with fine company. You did such a good job of chronicling it that I think I will simply refer my readers to this post. As I look at your haul, I'm thinking I should have followed you around and grabbed what you grabbed. It IS Little Prince of Oregon today!! So cute :) I vote that we schedule in a 'decompressing' drink if we get to visit LPO again. Your selection is great, always a fine eye, Jane! That is a great trip!! I can see you really had a lot of fun! 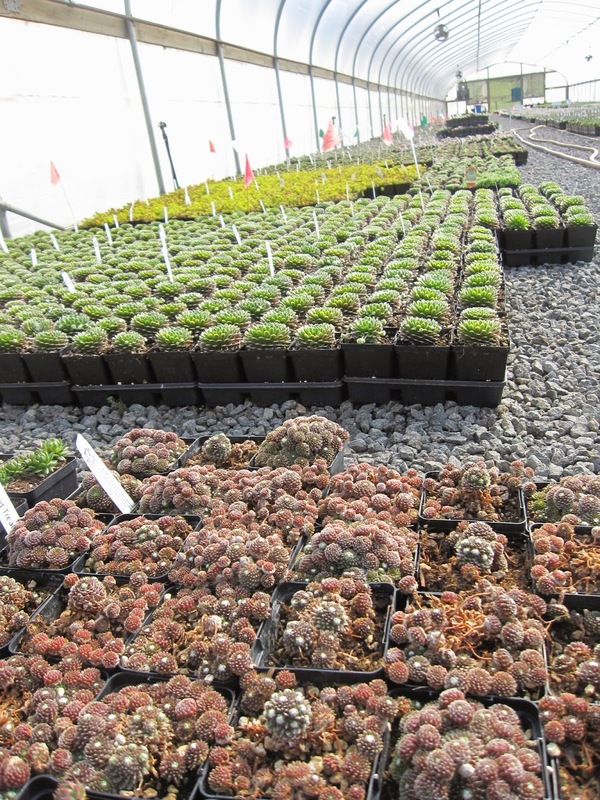 I´m still amazed by the great variety of plants that nurseries offer to gardeners in Oregon. Thanks for sharing! Sorry I missed it! Looks like a good time! Between 2 yards of gravel, 5 yards of mulch and the cough/cold from hell, I just couldn't do it. So bummed I had to miss it. Next time! I'm looking forward to their booth at the Clark County PUD Idea and Garden Fair in Vancouver, WA at the Fairgrounds, I got a Persicaria from them that has done well. Your picks look so cute, especially the Agave and Mangave. Great outing! So glad you went! LPO rocks, let's do it again. Soon. Oh, that looks like a fun nursery! Love that purple Armeria. 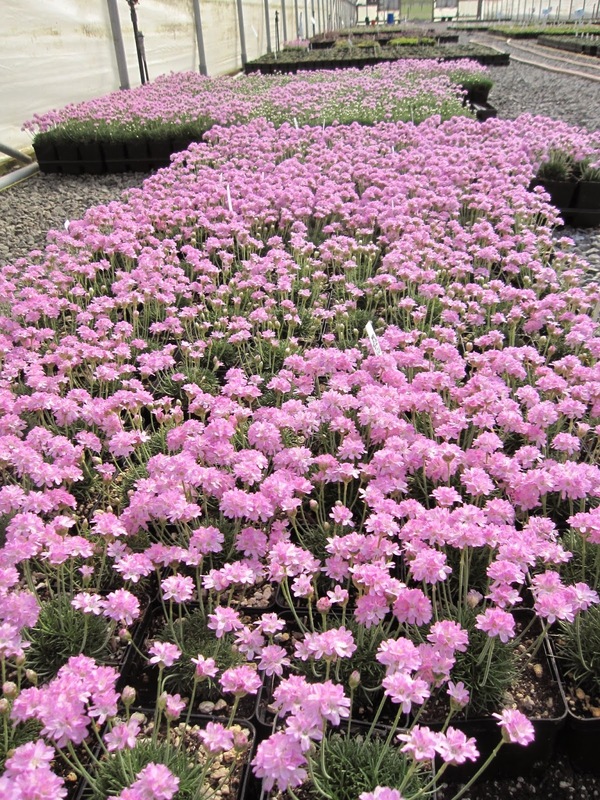 I have that Armeria and mine is blooming right now too. What a fun time you all must have had. Your selections look wonderful.